Well-designed hotel with amenities in the heart of the Delhi. 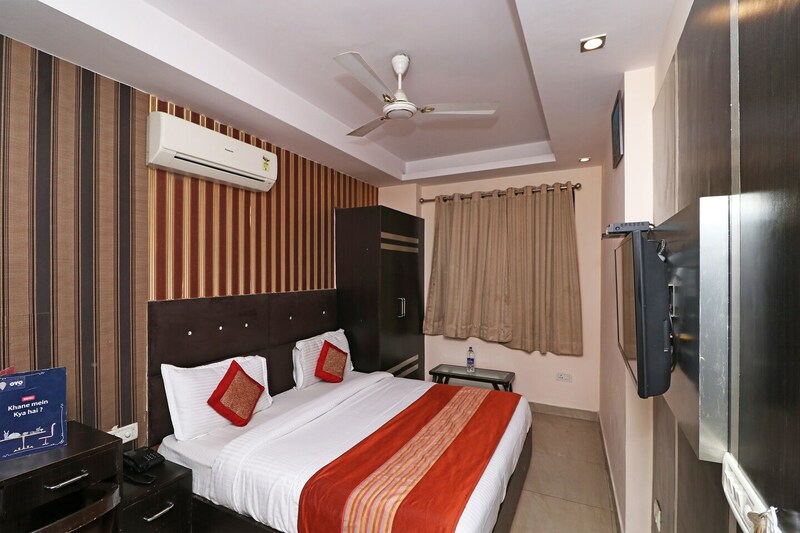 Offering comfort and great services at budget rates, OYO 13299 Hotel Blue Pearl in Delhi is an ideal lodging for travelers touring the city. The well trained and friendly staff of OYO maintains the property and ensures your stay is smooth. Our rooms are tastefully furnished and offer amenities like Complimentary Breakfast, In-house Restaurant, Parking Facility and a lot more. To make the most of your visit, head out to famous tourist spots like Jama Masjid, Jantar Mantar and Sacred Heart Cathedral.